You don’t want to get stuck during the winter with a snowblower that isn’t doing what it should. Prior to winter, it makes sense to haul out your winter tools and check whether or not they are working properly. But even the best intentions can get caught up in other responsibilities, and before you know it, winter is upon you and your first significant snow if heading your way. Hopefully, everything fires up and works as expected, but if your blower isn’t ‘blowing’, you probably have an auger that isn’t turning. And if an auger isn’t turning, then you most likely are going to figure out real fast how to change a belt on a snow blower. Lucky, with a little ingenuity, and some step by step tutorial, you can get the job done on your own. Quite simply, the snowblower belt turns the auger to get snow taken up, and tossed out of the way. It also helps drive the machine- since the turning of the auger helps move your blower forwards through the snow. A two-stage blower may also have a belt to drive the wheels and should be changed at the same time since its good practice to always change your belts together. 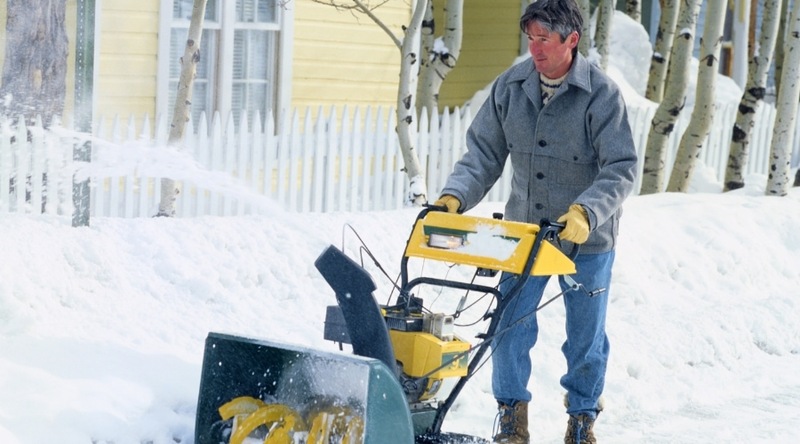 All snowblowers have at least one belt, whether you have a gas powered version or electric, and the directions are generally the same for all models with very little variation. If in doubt about what part is what, and where to locate it, check your users manual that came with your machine (or online) for a diagram to follow. Regular maintenance of your blower should include removing the belt cover and inspecting not only the belt but also idlers and pulleys. You should pay attention to the belt and look for cracks, fraying, or splitting- and if you notice anything that looks overly worn, you definitely should replace it. 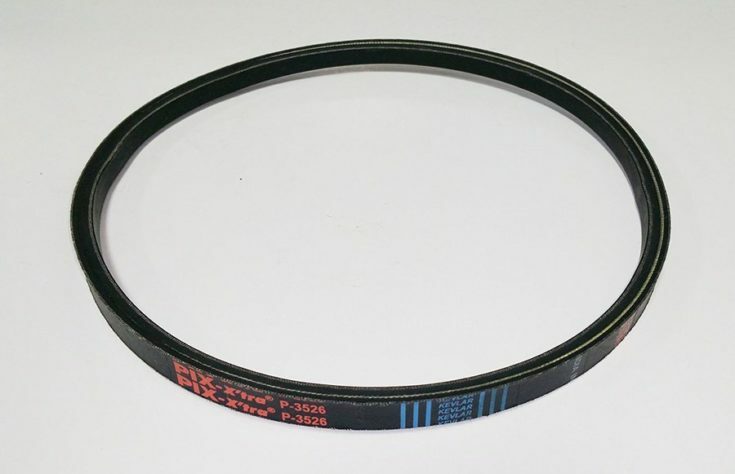 If you have bypassed the maintenance this year and your blower starts, and you hear squealing, or it isn’t working, then there is a good chance your belt is the culprit. Most belts can last 4 to 7 years, so if you are somewhere in that range – the time is ripe for replacement. Socket set and ratchet: You will need access through the belt cover and depending on the model of blower you have, you will most likely need a ratchet to gain access. Adjustable wrench: You also may need to loosen belt retainer bars and idle/tension rollers. Phillips head screwdriver: Depending on the make of your machine, you may be able to loosen self-tapping screws rather than remove bolts. Work gloves and glasses: Always work safe and protect your hands and eyes. 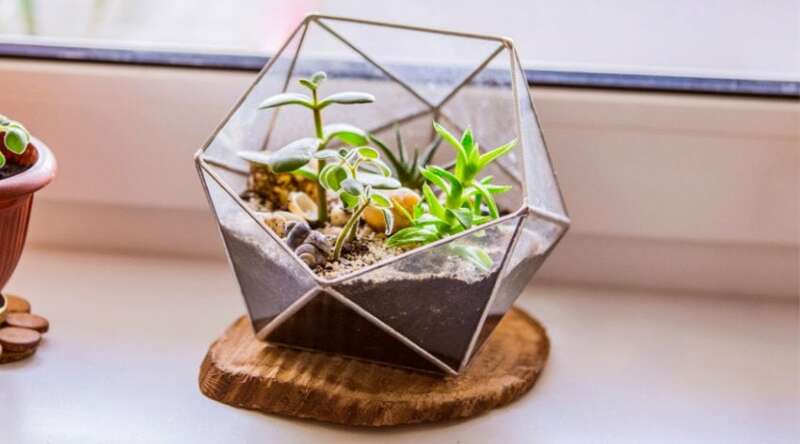 Container for screws and bolts: Since you will be removing covers and parts, it is smart to have a bowl or other small container nearby to place these small items in. Nothing is worse than losing a screw or bolt and not being able to secure your part later. This is not a difficult job, and if you are familiar with the tools being used, should only take you about 45 minutes to an hour. Always have your tools and other items nearby in advance to avoid having to get up and look for them while working. It also doesn’t hurt to have the manual handy (which can often be downloaded from online if you no longer have it). Obviously, a gas-powered machine with be run from a two-stroke engine, no matter whether you are working on a single, dual, or three stage blower. These all run from unleaded gasoline, which should be siphoned out, or run out. Just be sure to let your engine cool before working on it if you use the latter choice. If you have an electric blower, just make sure the battery is removed, or it is unplugged before getting to work. Since you are going to tip your blower up to work on it, you do want to ensure the gas tank is empty. You want to avoid any spills or trickles of gas that can get in your way, create a noxious work environment, and cause a caustic situation. Plus, it is always good practice to have an empty gas tank when working on a machine. You also want to always be working very safe and void of accidental injury. 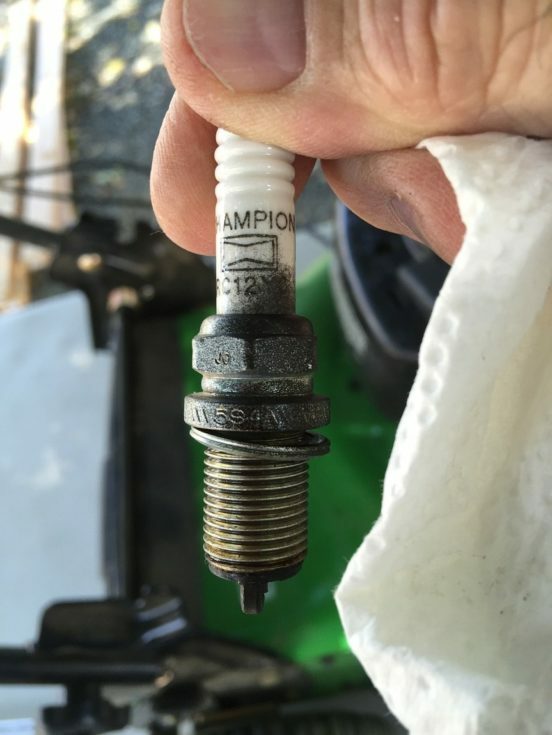 Emptying the gas tank does do that as well, but by disconnecting the spark plug you know for certain you cannot have any sort of power or combustion to your blower while working. Since many machines have a push button start, this provides peace of mind. The belt cover typically requires that you either unscrew self-tapping screws or bolts, and both require the use of a ratchet set to loosen. Sometimes a Phillips head screwdriver can do the trick as well depending on the model of blower you have. Tip your machine forwards and remove the auger housing from the frame- located under the body. Again, you may need to work either bolts or screws loose. Once you have this loose, remove the housing to expose the belts underneath the machine. It never hurts to take pictures of how the belt, or belts, are routed in order to make sure you have them placed correctly. If you still have your machine’s user manual, you may have a diagram of the working parts of the machine which can also come in handy. Unless you want to manually try and stretch the belts off, you will have to slack off the belt tension. You can do this a few different ways: you can unhook the idler spring, pry the tensioning rollers back, or loosen the tension mechanism. Unhooking the idler spring is generally the easiest and fasted method when working on your own. Once the tension is released, you can roll your fingers under the old belt, twist it to a 90-degree angle, and easily pull it loose. Never yank it free, but rather work it out from around how it has been set and pay attention to how it sits in order to get it properly replaced later with a new belt. Depending on the model you have, you may also have a belt stop bolt adjacent to the idler pulley. You can remove this to get your belt completely free. Just be sure to place it back where it belongs after replacing the belt. 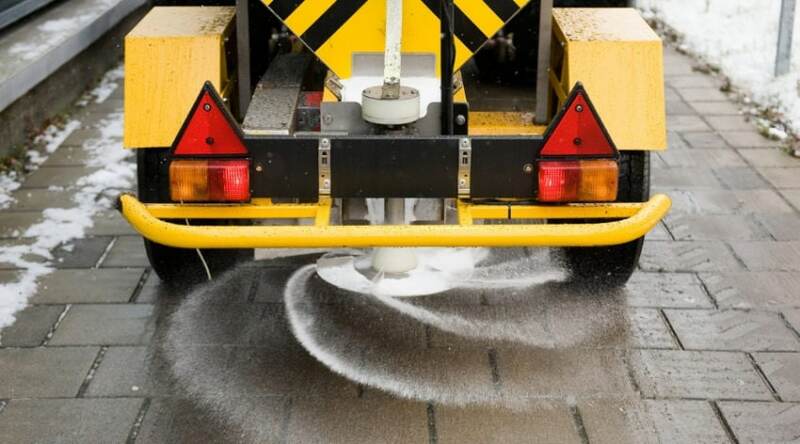 While you have the belt off you want to clean the pulleys and tensioning rollers well to get any accumulated dirt and dust that may have worked its way in. This also ensures you have a good, clean surface for the new belts to sit on to avoid any slipping. Using your pictures, be sure to replace your belts correctly and with care to have them set properly on the rollers. They should slide fairly easily into place, and fit snug prior to re-attaching the idler spring or retightening the rollers or tension mechanism. Once you have it in place, make sure the tension is re-corrected. Now that you have placed your new belts in the machine, you can work backward reattaching the auger housing, any bolts or screws, the belt cover, and spark plug. Fill it back up with gas (or if you are working with an electric blower, you can place a charged battery in or plug it in) and give your snow blower a good test run to try out your new belts! As you can see, changing your belt, or belts is not a difficult task. 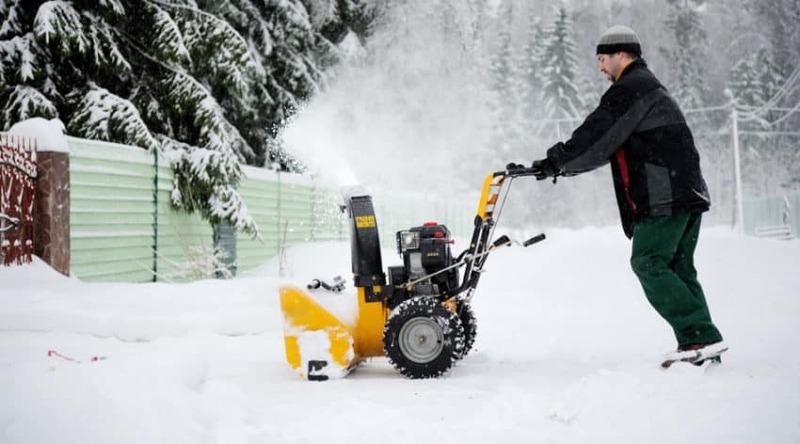 With a few simple steps and attention to safety and general maintenance, you should be able to keep your snow blower running for many years in an efficient manner. 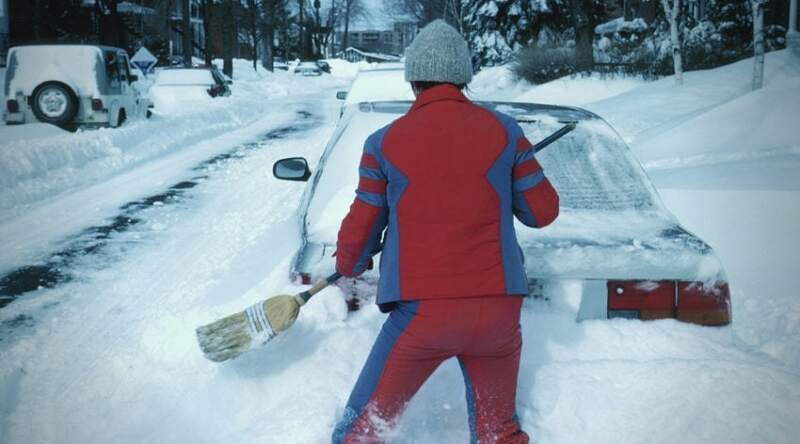 Belts are going to wear out eventually, and if you can catch the signs of wear prior to it breaking, you can save yourself an evening (or worse yet – morning) or shoveling to get the job done. But even if you lose one mid-job, they are easy to replace and won’t cost you an arm and a leg to do so. If you have any tips or questions, please leave us a comment below. And, as always, please share!